TO GET RID OF THOSE SUCKERS. 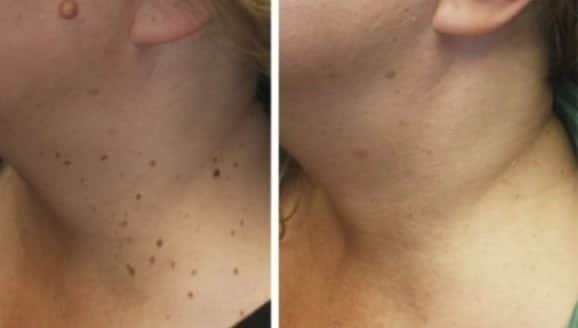 Skin tags, medically known as acrochordon, are benign fleshy growths that form in areas where the skin forms creases, such as the neck, armpit, and groin. They may also occur on the face, usually on the eyelids. It is believed that skin tags occur from skin rubbing up against skin, since they are so often found in skin creases and folds. Although 46% of the general population is affected, people with diabetes and pregnant women tend to be more prone to skin tags. Others are more susceptible to tags, either because of obesity or heredity, and often for unknown reasons. Acrochorda are harmless, typically painless and usually do not grow or change over time. However, tags may become irritated by shaving, clothing, jewelry or eczema. 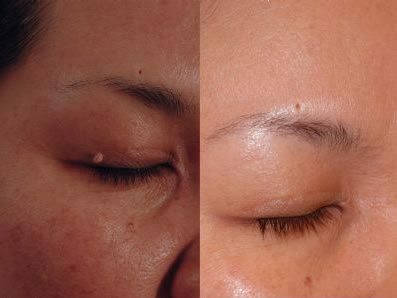 At Inkfree, MD we use a method known as electrodessication to safely and gently remove the skin tags. An electrical current is applied to the stalk of the skin tag, destroying the blood supply. Over the course of a week, the tag will gradually fall off. Larger tags may require an additional treatment. Most people will feel a slight stinging sensation and numbing cream is available upon request.